It’s time to put your end of life (EOL) planning tools to use! What good is having this gift if you do not share it with others? Tweet to us at @BegintheConvo. Use hashtag #begintheconvo. Seek out EOL care planning programs and find EOL care planning tools where you live. Volunteer to help spread the message. To celebrate completing your EOL care planning goals, do something on your bucket list to celebrate. Life is short. Every moment matters. Please share your EOL care planning journey. You could be a huge influence on how others face death. It is freeing to know if something happens to you, your advance care plan is ready to implement. We can connect with your friends and family. We’ve prepared an email message you can send to everyone you know. Just click here and we’ll get you started! Ive taken action to Begin the Conversation about advance care planning with my loved ones. I have also completed the legal documents that will ensure my wishes will be honored. In addition, Ive made copies of my wishes and documents for my loved ones, physicians and estate planning lawyer. It was an empowering experience. I want to encourage you to complete your advance care planning, too. Its a gift. Dont wait. Its time. 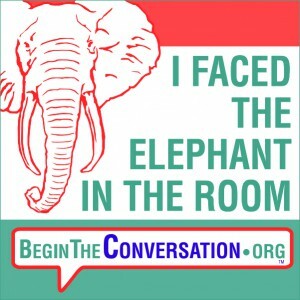 For help beginning your own conversation, please visit www.begintheconversation.org.